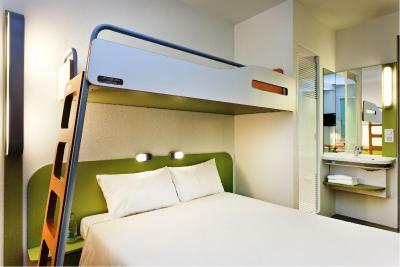 Near bus station,value for money,cleaniness,easy chek-in and out..
Everything you need in a budget hotel. This place was fantastic after I had a mishap in another hotel and I was able to quickly book a few nights. My friend and I were very comfortable in a double/bunk bed setup and felt right at home in our room. The staff is super friendly and most speak English so that helped us a lot. They were even able to get us a cab at 5am to the airport without any problems. The room was really small, no place to open the lagged. Rooms are for singles and not for more . The hotel is very quite place and the staff were kindly and they were very helpful all the time. The staff is very friendly and gave us a lot of valuable information. They speak English so it was easy to communicate with them. The room small but functional. RER quite close, about 10 min walk. All good with the hotel. I would even recommend it if you are planning to visit central Paris, since it's close to Gare de Lyon station by train. Didn't have breakfast as we were too late down. 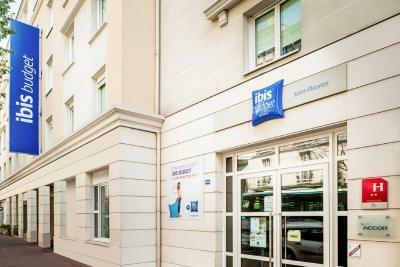 Located a 14-minute drive from Bois de Vincennes Park and its zoo and a few feet from the River Marne, ibis budget Saint-Maurice is a 24-hour reception hotel featuring rooms with attached bathroom. They include an LCD satellite TV. AccorHotels Arena is 4.3 mi away and can be reached within 35 minutes thanks to the RER A. The rooms at ibis budget Saint-Maurice have a private bathroom with a shower and free toiletries. Free WiFi access is provided throughout. 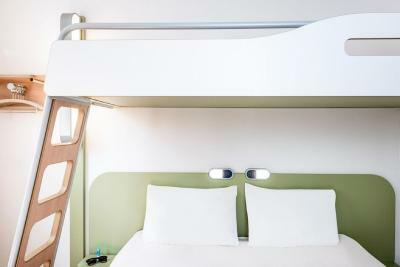 The hotel is located a 12-minute walk from Joinville-le-Pont Train Station, which provides direct access to the center of Paris in 30 minutes by train. There is an underground public car park 150 feet away on Place Montgolfier, available at a surcharge. Porte de Bercy is at 5 mi, Orly Airport is at 12 mi and Disneyland Paris is at 24 mi. The Paris Floral Park is located 2.2 mi away while Vincennes Racecourse is 0.6 mi away. This property is also rated for the best value in Saint-Maurice! Guests are getting more for their money when compared to other properties in this city. 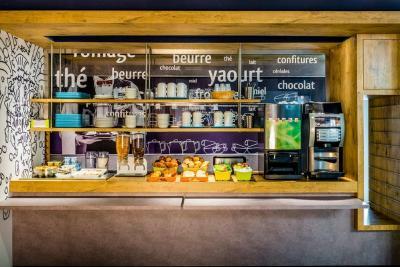 When would you like to stay at ibis budget Saint-Maurice? This room with attached bathroom includes an LCD satellite TV and free Wi-Fi access. An air cooler is also available. This double room has an air cooler. This triple room features a flat-screen TV and air cooler. This triple room has an air cooler. 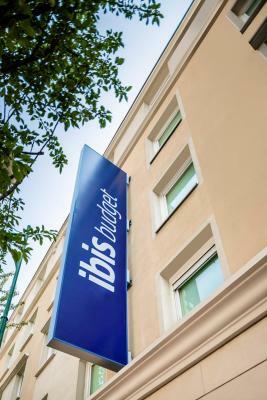 House Rules ibis budget Saint-Maurice takes special requests – add in the next step! ibis budget Saint-Maurice accepts these cards and reserves the right to temporarily hold an amount prior to arrival. This is a cheap and cheerful hotel. It is fine for one night. The size of the room . The look and behavior of the female customer service representative. They are cocky and forced to smile. Are they doing customers a favor to sit behind their desk ? The male customer service representative. The rooms have no chairs (just a stool) so the room is for sleep only. Bed was OK this time but on my last stay the bed was poor.